Troopers with the Florida Highway Patrol will be cracking down on unsafe driving habits this month as part of their Operation Safe DRIVE (Distracted Reckless Impaired Visibility Enforcement), noting they’ll be watching in particular for infractions involving commercial vehicles. As one official noted to a local news outlet, a “surprising” number of highway crashes involve commercial vehicles of some type. Our Fort Lauderdale truck accident lawyers don’t find this surprising at all, in particular after viewing the latest U.S. Department of Transportation data on Large Truck and Bus Crash Facts from the Federal Motor Carrier Safety Administration’s Analysis Division. The data shows there were nearly 4,900 trucks and buses involved in deadly crashes in 2017 – which was a 9 percent increase from the number recorded just a year earlier. 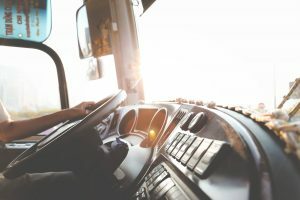 Further, the number of large trucks (defined as those over 10,000 pounds) and buses involved in fatal crashes spiked 42 percent from the record low of 3,432 in 2009. If there is any silver lining, it is perhaps that the 2017 high is still 7 percent lower from the all-time peak in 2005, when 5,321 large trucks and buses were involved in deadly crashes. It’s not even the fact that large trucks and buses are being increasingly utilized. When factoring truck accident and bus accident deaths per 100 million vehicle miles traveled, the number of deadly truck crashes was still up nearly 7 percent from 2016 to 2017. With regard just to bus crashes, intercity buses accounted for 13 percent of fatal crashes from 2007 to 2017, while school buses and transit buses accounted for 40 percent and 35 percent, respectively. Meanwhile, the number of large trucks involved in deadly wrecks rose by 10 percent during this same time frame. In Florida, large trucks were involved in a low of 181 deadly crashes in both 2008 and 2009, but that has since risen to 292 as of 2017 – a 63 percent increase. However, PIP only covers up to $10,000 in damages – and that assumes one requires emergent injury treatment; otherwise, $2,500 is the most one can expect from PIP. As anyone who has ever sustained injuries in a large truck crash can attest, this is a small fraction of the damages an occupant of a vehicle other than truck typically sustains, thanks primarily to the size differential of the two vehicles. The FMCSA in fact estimated even back in 2007 that the estimated cost of police-reported crashes involving trucks with a gross weight rating of 10,000 pounds or more was approximately $91,000. This incorporates not only one’s reduced life expectancy from the crash, but also their lost productivity plus the monetized value of pain, suffering, loss of life quality and family losses due to death or injury. Inflation costs mean one can expect losses to be even higher today, as this was more than a decade ago at this point. For this reason alone, trucking companies fight tooth-and-nail to reduce their own liability. Beyond that, firms seek to layer their liability by outsourcing everything from truck ownership to drivers. Battling through this bureaucratic red tape requires an experienced Fort Lauderdale truck accident law firm with ample resources and dedicated attorneys.